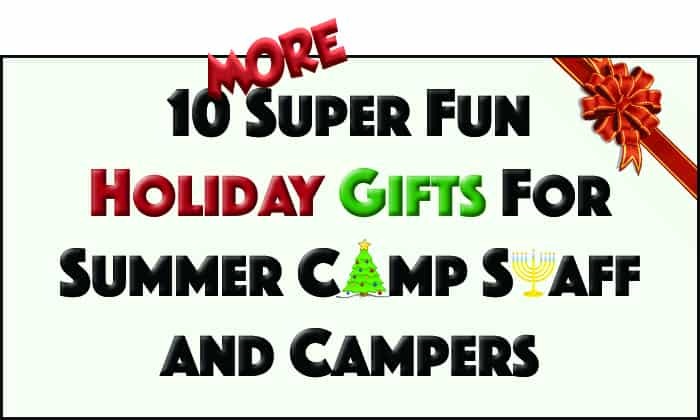 Click here to check out the original post of 10 Super Fun Holiday Gifts for Summer Camp Staff and Campers. 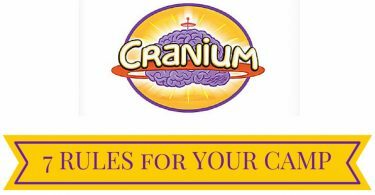 This neat journal has a lot in it – from camp-inspired jokes, games, camper tips and questions and prompts to ensure that the camper (or counselor) doesn’t miss any opportunity to record a memory. If you know someone who enjoys archery, hook them up with this 4 piece arrow pencil set. Everyone should have a Swiss Army Knife. 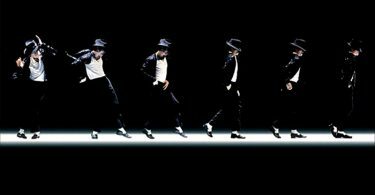 My favorite is The Tinker version. 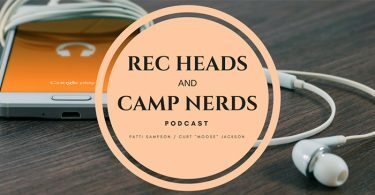 It’s not easy to find MP3s of actual songs that are sung at camp. The Girl Scouts Greatest Hits are probably the best albums out there when it comes to camp songs. Check out all 6 volumes and get the albums or pick your favorites to download. Give the gift of LED fire. With this lightbulb you can create a flameless, indoor campfire. You could use it in a street lamp decoration. You could create a tiki torch. You could even use it inside a fake pumpkin all year-long. There are different styles from different companies and they aren’t cheap. This one has the best reviews on Amazon, though. Here’s the perfect gift for that s’mores lovin’ family. No more using dirty sticks or rusty clothes hangers to roast those marshmallows. You may or may not know that I am a fan of escape rooms. In fact, I wrote the book on putting one together for camp. Well, the board game Escape Room in a Box: The Werewolf Experiment has gotten a lot of praise. It was created by a couple of women who raised the funds to make it happen on Kickstarter. It was so well received that Mattel got involved and the official game will be released on December 18, 2017. I, for one, cannot wait to play it. S’mores are so camp. If you have a fan of s’mores in your life, like I mean a REAL fanatic, then consider the 7″ Plush S’more or the S’mores Edition of Checkers. 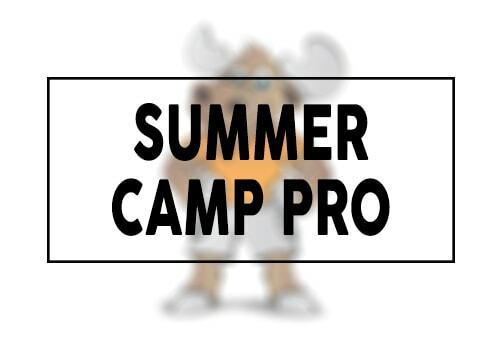 A number of summer camp movies have been made, some are good and others are not. 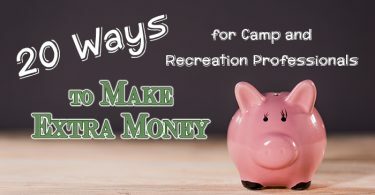 Check out my 5 favorite camp movies in this post. Check out my shop on RedBubble where you can find fun camp t-shirts, mugs, tote bags and more with graphics I designed. I chose to work with RedBubble because their items are really good quality when it comes to print-on-demand. What else would make a great gift for summer camp fanatics?